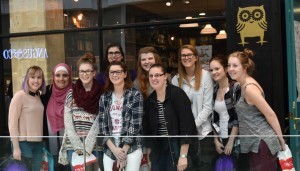 Today I met up with 9 amazing Bookstagram ladies to visit some of Melbourne’s best bookstores. Below I have reviewed all 5 bookstores we visited, and if I’ve missed your favourite Melbourne bookstore let me know in the comments! We are pictured here in front of Robinson’s books. Sally from @the.booklovers.guide organised the meetup, and it was a really great day out with such wonderful fellow bookworms. If you want to check out the profiles of everyone I met they are (roughly from left to right): @babblingbooks (me), @f.a.bookaddict, @booksandshelves, @fordxcore, @the.booklovers.guide, @rachelsreads, @purplek007, @booksbootsguacamole, @hannahjreads & @becklepanda. The Collins Street Dymocks store is a book lover’s paradise. Descending the escalator into an underground cave of books is an experience no Melbournian (or visitor) should miss. The enormous store has a wide range for every taste, with bestsellers in every category from classics to romance, biography to cooking. X Factor: On-site cafe to rest your weary feet or grab a coffee and cake to refuel before shopping up a storm. Describing itself as a ‘pop culture megastore’ Minotaur is another underground bookstore, but this one filled with all sorts of geeky goodness. Minotaur specialises in sci-fi and fantasy novels, manga, anime dvds, fandom merchandise (Game of Thrones, Harry Potter, Doctor Who, Marvel/DC super heroes etc. ), graphic novels and comics. X Factor: The geeky merchandise selection is awesome, and it’s almost impossible to leave without a little souvenir from your favourite fandom. 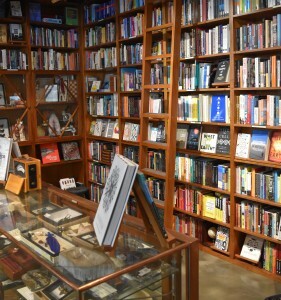 Robinson’s is the oldest general independent bookstore in Victoria, and it’s always a treat to visit. 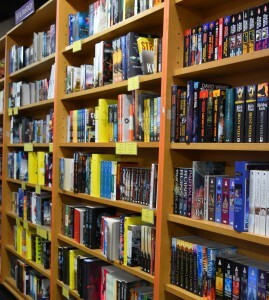 With its dark wooden floors, towering shelves and narrow isles every inch of the store is overflowing with books. 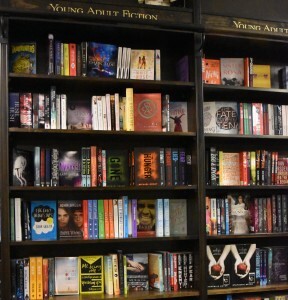 There is quite a large YA section and a great middle-grade area. They also have a large range of cooking and other non-fiction books if you are so inclined. X Factor: Massive wall of classics in a wide variety of special editions. My personal favourite independent bookstore, Embiggen is, like all the best place in Melbourne, hidden away in a laneway. Despite being dwarfed by high walls of the State Library the tiny Embiggen store feels light and airy. The wooden bookshelves (complete with ladders of course) and displays of curious objects make you feel like you are stepping into the study of a well-traveled gentleman. Given the small space there isn’t a huge range, but what is on the shelves is expertly curated, and thus perfect for browsing. X Factor: Embiggen has a strong focus on popular science and philosophy, so if your brain needs food for thought it should be your first stop! 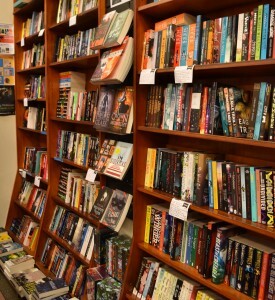 Readings is another independent bookstore chain that thrives in Melbourne. The Lygon Street store is open until late at night, so if you’re a night-owl it’s the perfect place for you. Like all the best bookstores it has some wooden shelves and ladders to indulge your inner ‘Belle’ from Beauty & the Beast. But of real interest here is the large travel section and wonderful children’s book room where kids can try before they buy. 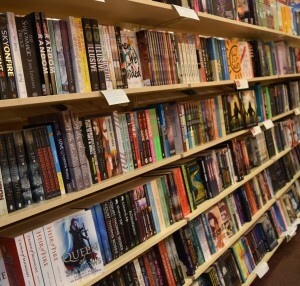 The store always seems to be packed with people, and even more packed with books – every inch of the walls and floor space is taken up with shelving overflowing with surprising reads. X Factor: Terrific selection of vinyl records, cds and music-related books.